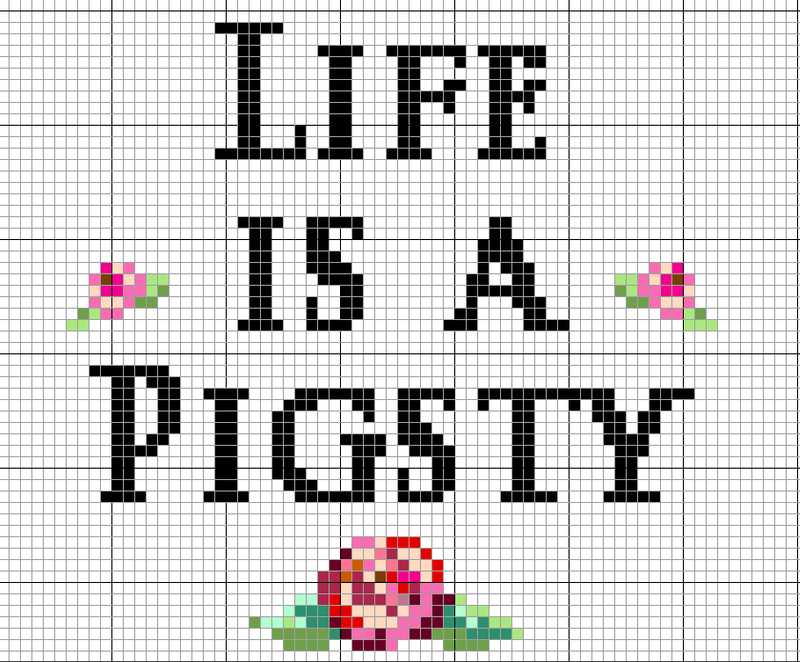 I was trying out some cross stitch pattern design software yesterday and made this slightly kitschy pattern. As you may know, I have a soft spot for stitched lettering and especially lyrics and quotes so I choose a (not especially cheery) song title by Morrissey. I guess if you don't like Morrissey the pattern is not all that interesting but I thought I'd share it anyway. :) There's no colour key or anything and text and or flowers may not be perfectly centred but hey, it's free! If you decide to stitch this pattern (or if you have any other stitched lettering to share) please add it to my Stitched Lettering group on Flickr! My son and dil love Morrissey, they saw him last year here in Portland, OR. I haven't done cross stitch in years but think this will be a fun one to give to them! Thank you for the pattern, so generous of you!